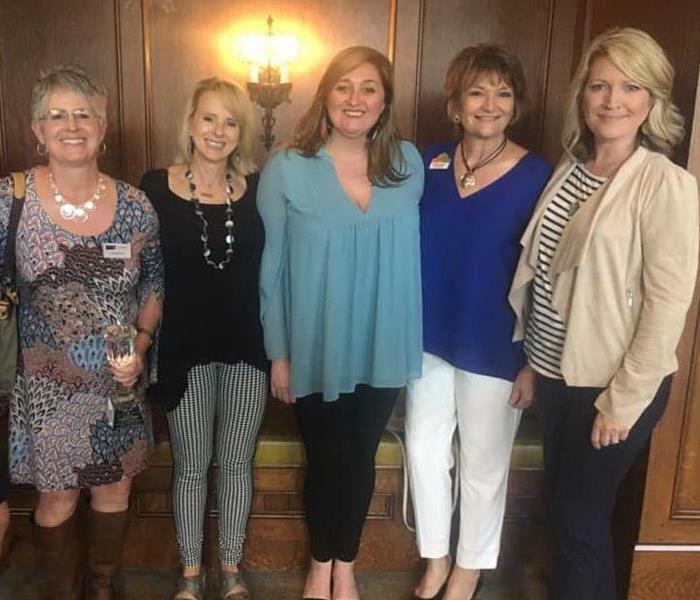 We are fortunate to be able to give back to our community and Marketing Manager and Rotarian, Ashley Bacon, LOVES to volunteer her time when she's able to do so. Straight line winds nailed our tree! Apparently, this poor tree couldn't withstand the high winds it was destined for unfortunately. Thankfully no one was hurt, and our team managed to rescue the office furniture and electronics before too much rain came through the hole in the roof. Pleased to have sponsored the Lake Country Board of Realtors Awards Gala at the Ritz Carlton. We snagged a photo with some big winners too! Always enjoy spending time with our agents and helping them in time of need. 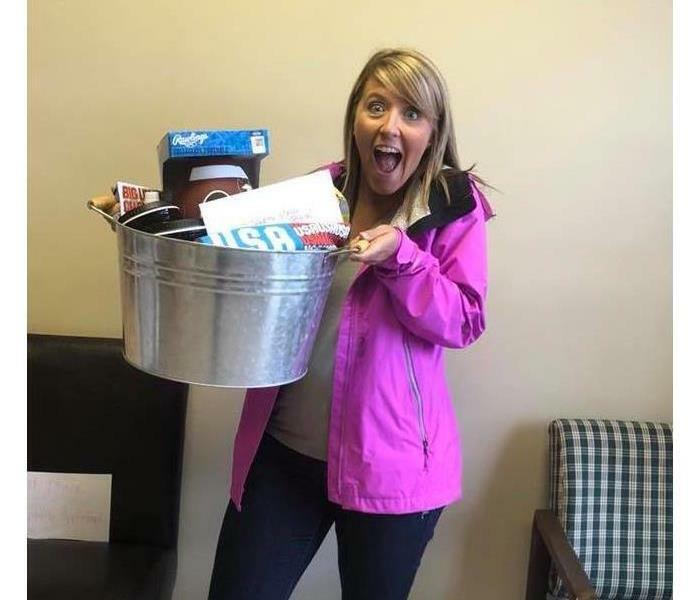 Marketing duo, Melissa and Ashley, hosted a luncheon for the LCBOR group and this lucky guy won our giveaway! 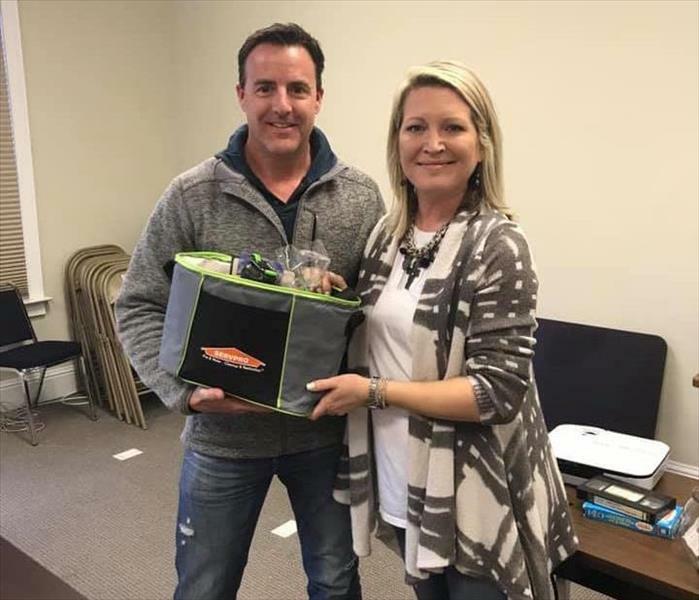 It's important for SERVPRO to educate real estate professionals on how to maneuver unchartered waters with buyers and sellers and how SERVPRO can assist. Let's face it, we are at work more than we are at home, so it's nice when your "work family" can be cool. Having fun makes the day go by so much nicer! Always out and about, beating the bushes, marketing duo, Melissa and Ashley, were BOTH lucky winners in the prize drawing. Thanks to Gutter Solutions for hosting the Lake Oconee Area Homebuilder's monthly meeting! 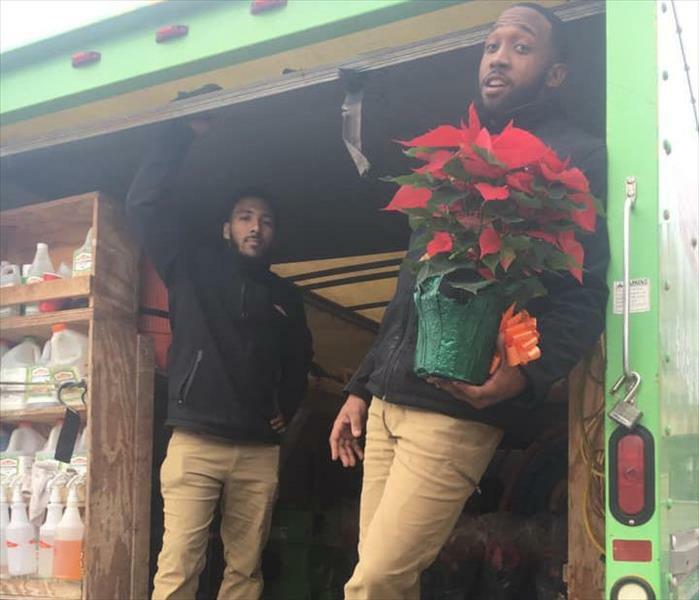 The joys of Christmas are always abundantly flowing at SERVPRO and we are blessed to give back to those who choose us as their restoration provider! Nothing says THANK YOU like a beautiful Christmas Poinsettia. 2018 Franchise of the Year in Georgia! 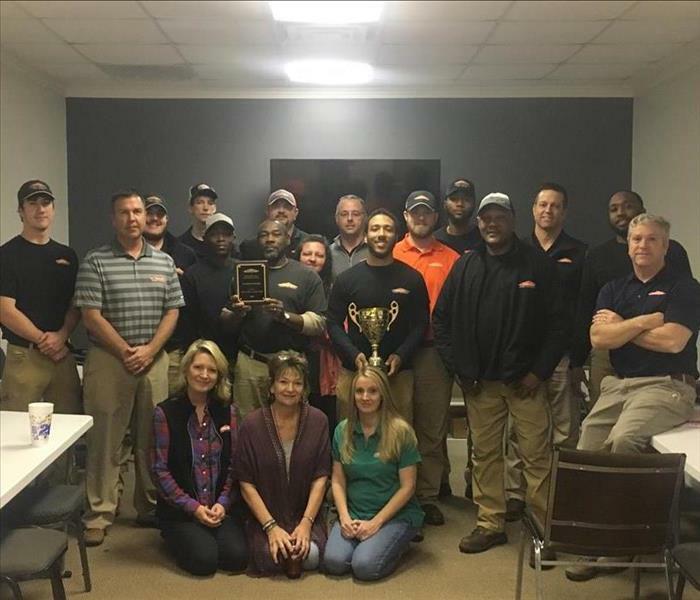 SERVPRO of Baldwin and Monroe received the prestigious 2018 Franchise of the Year award for the state of Georgia. This is one proud team! We go together like peanut butter and jelly! 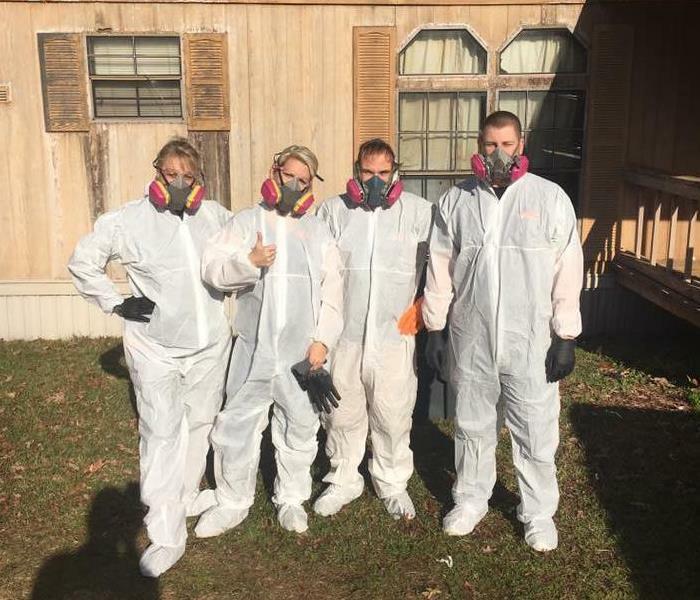 SERVPRO of Baldwin and Monroe loves to have fun! We offer giveaways via social media using enticing ways to engage and educate the public about fire and water restoration. We want to help people prevent disasters from occurring at their home and/or business by providing helpful information and tips. 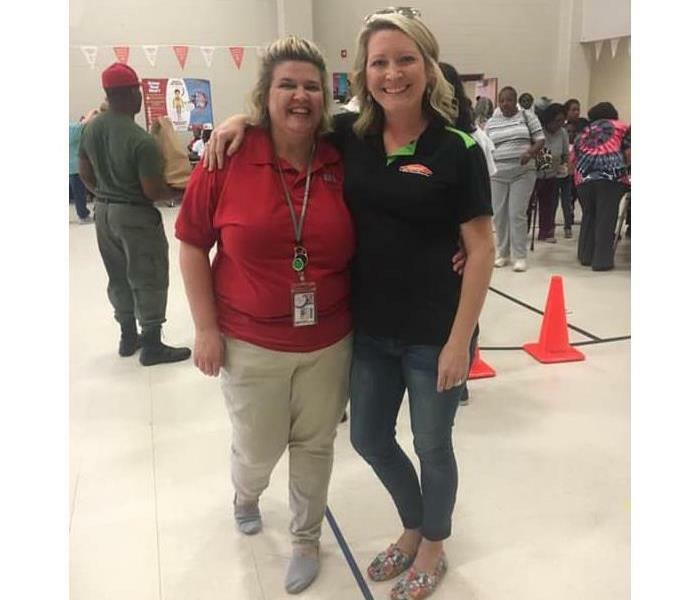 We truly love to help others! 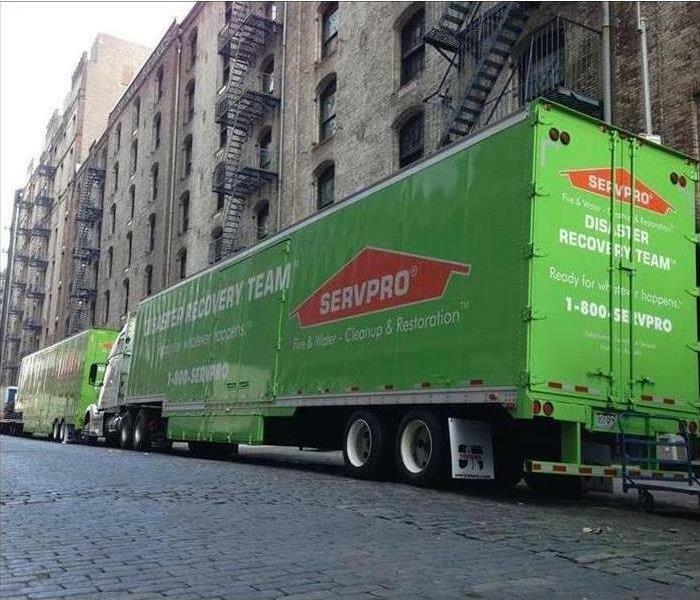 SERVPRO has over 1,700 individual franchises nationwide, with teams in both Commercial Large Loss and Storm Recovery. No matter how big or small a disaster may be, our extended "family" of professionals is ready to assist. 365/day or night/24/7. Our technicians make things fun! SERVPRO of Baldwin and Monroe employs fun, energetic people who make the time fly by. We thoroughly enjoy the opportunity to serve others by helping people recoup from disaster and overcome crisis. 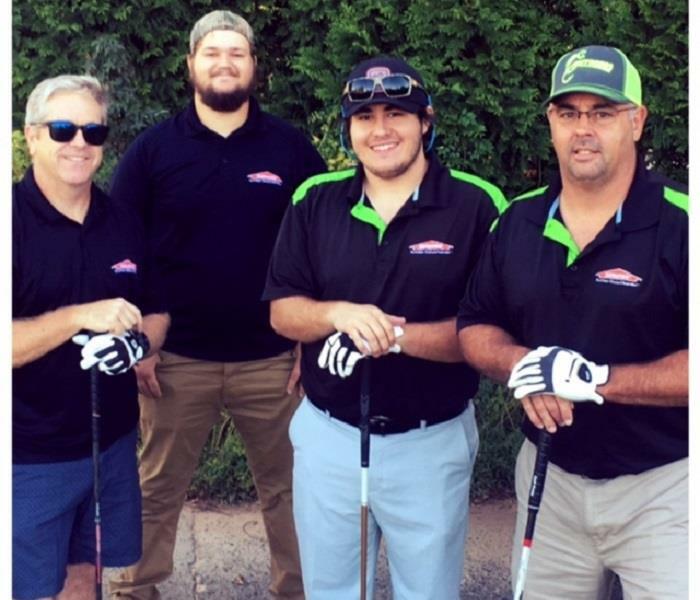 Our rock-solid team is why you should call SERVPRO of Baldwin and Monroe. Nobody anticipates waking up on a Monday morning to a phone call that 4 stories of a commercial building has flooded, but rest assured that SERVPRO of Baldwin and Monroe were on scene within minutes to begin water extraction, demolition and let the drying process begin. Faster to any size disaster - No job too big. We can be FUN too! 24 hours a day, 365 days a year - Our team has to be ready for whatever happens, and often times, we see horrific things happen to the best of people. When we had the opportunity to cut up and capture it, you can definitely see the different personalities come forth. What a fun time we all have together. This SERVPRO family is the best. Nobody plans for a burst pipe! The last thing a homeowner or business owner expects to have is a burst pipe - but all too often, it happens, and when it does - Look Out! 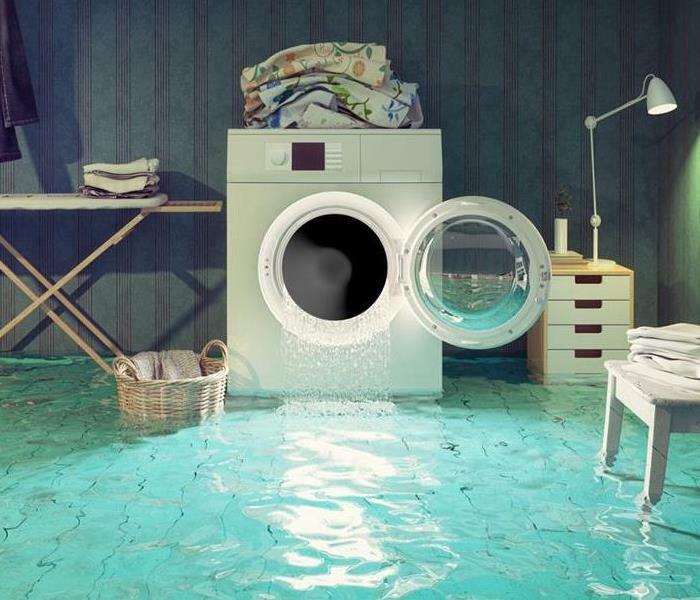 Water can wreak havoc on ANY floor surface and if you're in a multi-floor facility, you're in a world of chaos. There's a lot to know about water too: Is is clean, gray or black? How long has it been surfaced? How are you going to get it dry again? 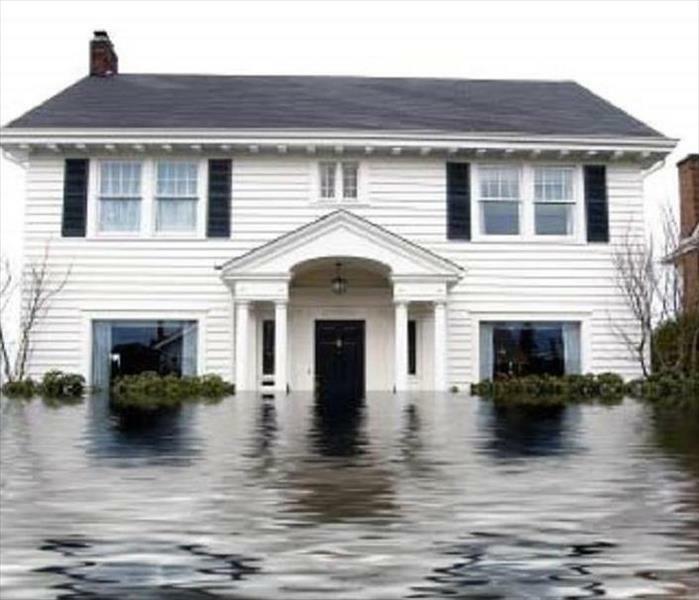 Water is something we know well - and we can help bail you out of ANY size disaster, be it a small residence or a high rise in the city. 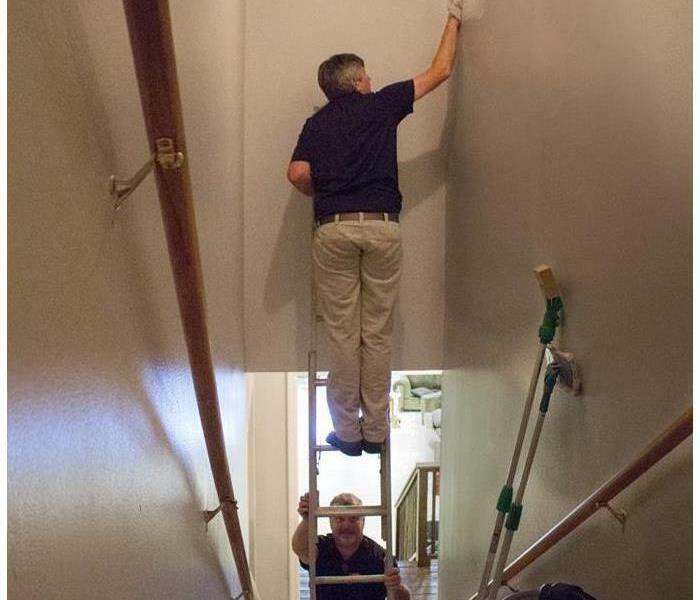 Call us for any size water damage and let our skilled staff do what they're awesome at doing! Smoke Damage Clean-Up - Act Quickly! 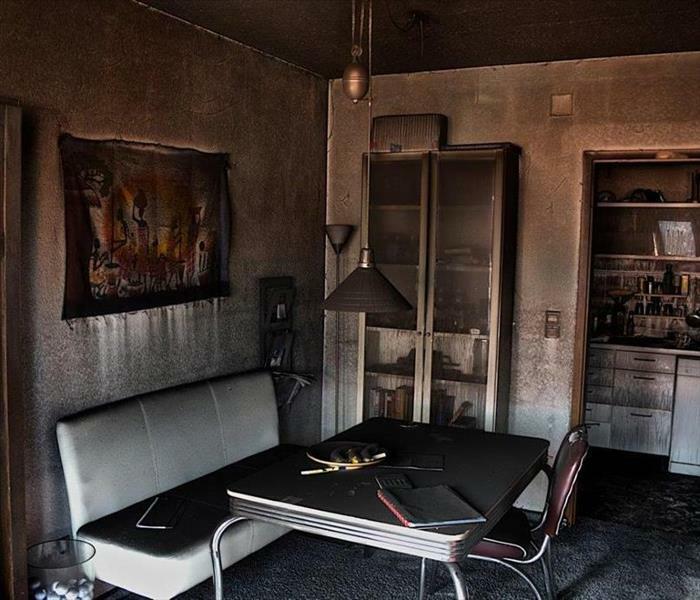 Smoke damage can wreak havoc in your home. Kitchen flare-ups, closed fireplace flues, and electrical fires can send smoke throughout your house, charring walls, covering everything and stinking up the place. The longer you let smoke and odors linger, the more they soak into walls, carpets, and furniture. So get to work and call the professionals at SERVPRO. We have JUST what you'll need to remove that pesky odor and mess. In the end, while smoke damage may seem erratic and random, it’s all in the physics. Understanding this may help take the mystery out of an already stressful situation. If you experience smoke damage, call SERVPRO of Baldwin and Monroe today! Can your business survive a natural disaster? Many don't. More than 30 percent of businesses never reopen their doors after they've been closed down by a hurricane, tornado, flood, or other devastating calamity. 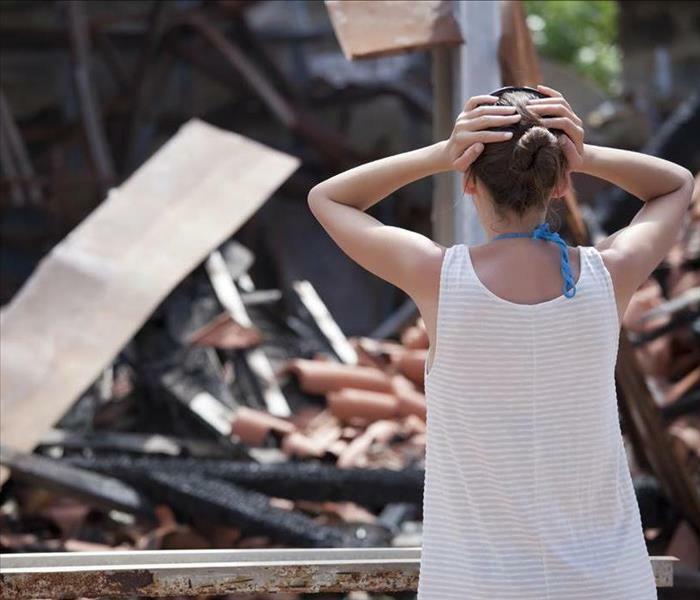 A disaster recovery plan and adequate insurance are keys to getting back to business, say the Insurance Information Institute and the Institute for Business & Home Safety. If your business suffers a loss, you can count on SERVPRO of Baldwin and Monroe to be front and center helping to get you back in business. Better yet - Contact our office and schedule an appt. to create an Emergency Ready Plan. Best 10 minutes to ensure you are well taken care of when the going gets tough! Storm Damage at it's worst! When you see bad weather heading your way, one never expects disaster to happen. It's one thing for your cable box to get fuzzy or even lose power, but no one is ever prepared to have a massive tree impale their roof during a terrible hail storm. The crew at SERVPRO were there immediately to help the family put the pieces back together, get the roof tarped and begin the mitigation process. We never know when disaster will strike and probably less than half of homeowners have a solid contingency plan and/or evacuation plan. Our trained professionals are prepared to respond to any size disaster just as much as emergency personnel. 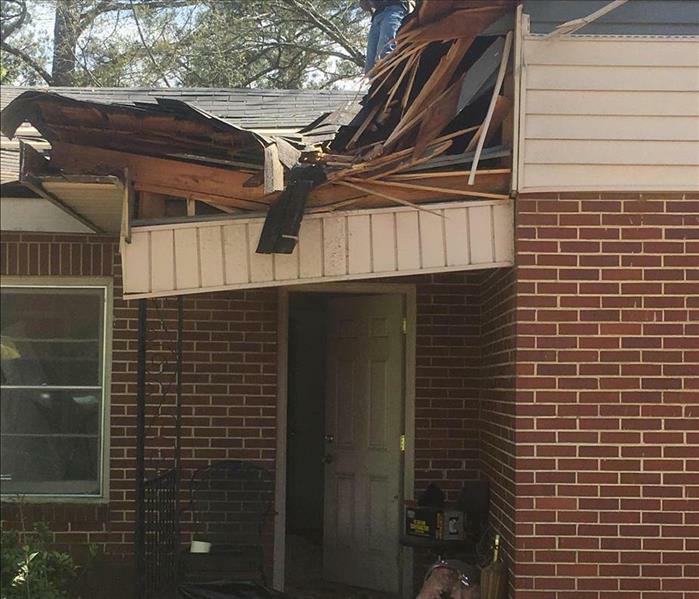 Storms come out of nowhere and have been known to leave a hefty mark on our homes. As a homeowner, you will have the peace of mind to let restoration work proceed without having to worry about whether or not the check from your insurance provider is going to be enough to cover all the damages to your property. SERVPRO of Baldwin and Monroe works closely with all types of insurance agents and adjusters to ensure a job is done right from the minute we arrive to the minute the job's complete. In recent years, the severity of storms throughout the country has increased. 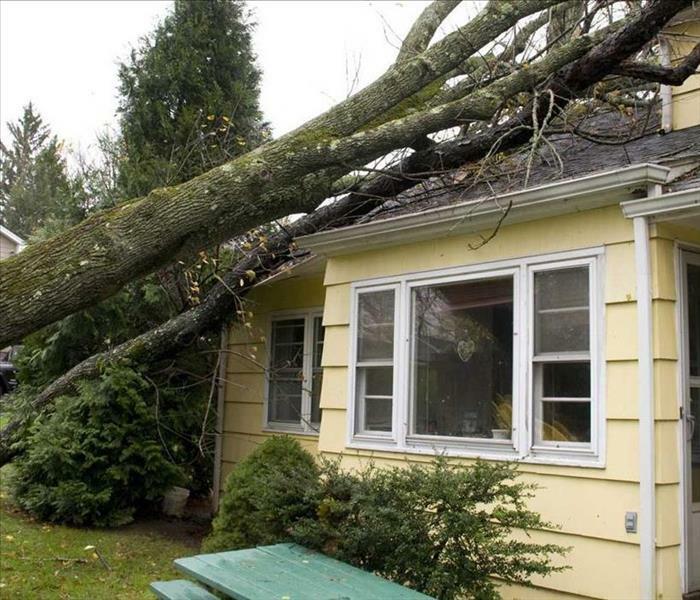 A storm that produces heavy winds, hail, ice or rain can cause tremendous damage to the structure of your home. Siding, roofing and windows can be affected and may need immediate repairs to prevent further damage. 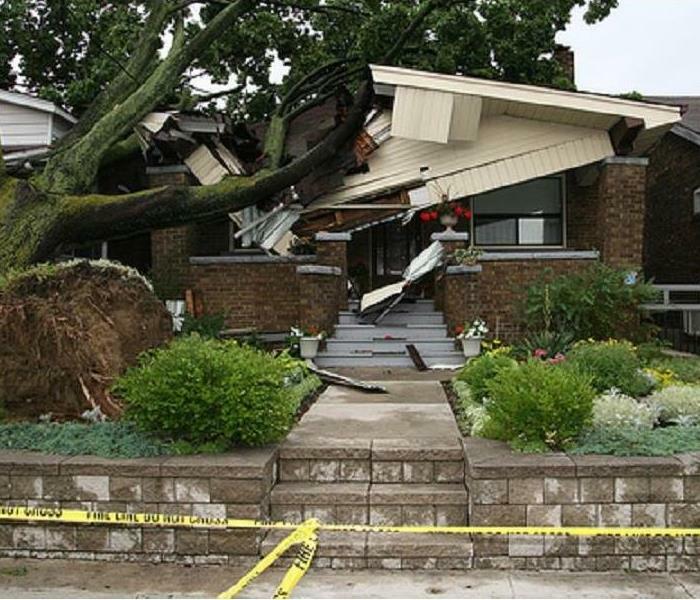 Our wind and storm damage professionals can guide you through this difficult time and help you make the right decisions. Our goal is to speed up the restoration process and secure your home from further wind and storm damage as soon as possible. 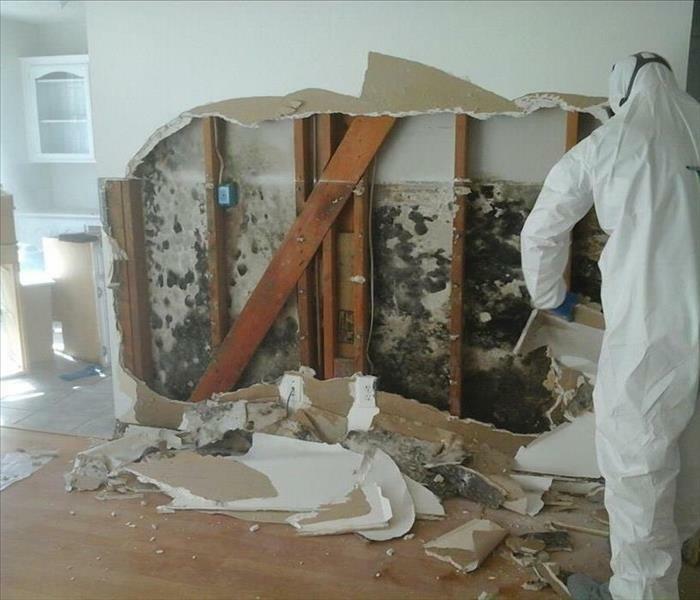 When a home or business owner identifies mold growth within a building, they must take certain steps to isolate the contaminated materials and to make proper repairs. They must consider appropriate engineering controls to contain the mold and prevent the spores and dust from spreading during the remediation process. Moisture and Mold can be tricky! Moisture and mold can hit anywhere, especially in the hot and humid summers of Middle Georgia. 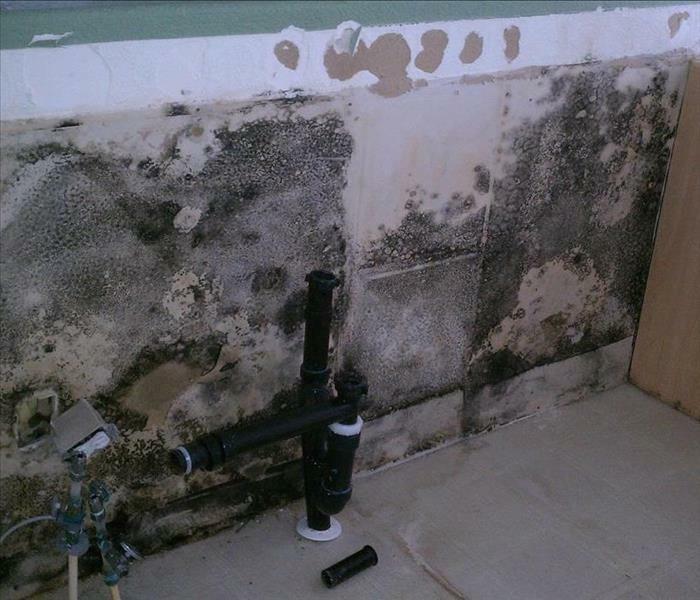 Whether it is a leaking pipe, significant water damage or the after effects of a fire, mold can grow and pose a risk. 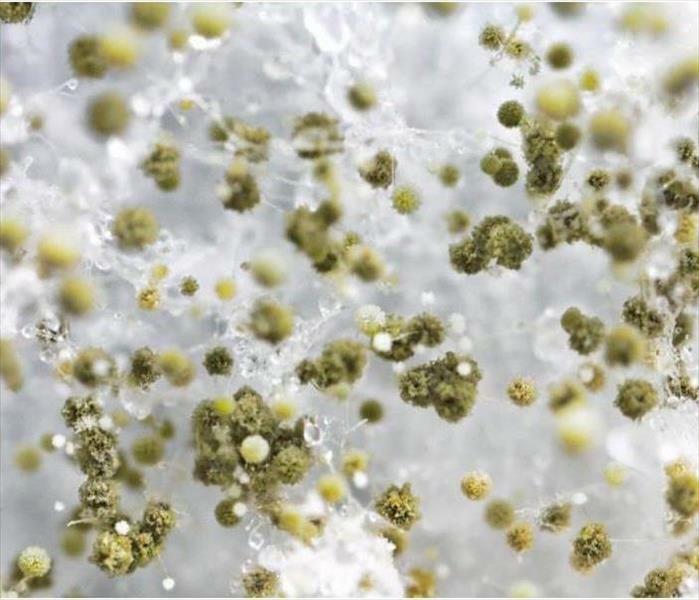 Traditional methods of cleaning mold are not typically effective and often make the mold issue worse. Contact the certified experts of SERVPRO of Baldwin, Putnam and Jones Counties immediately if you suspect mold to be an issue. If you have moisture issues in your home, it’s almost inevitable that it will lead to mold. This can be indicated by water stains, and discoloration on the walls, ceilings and floors. 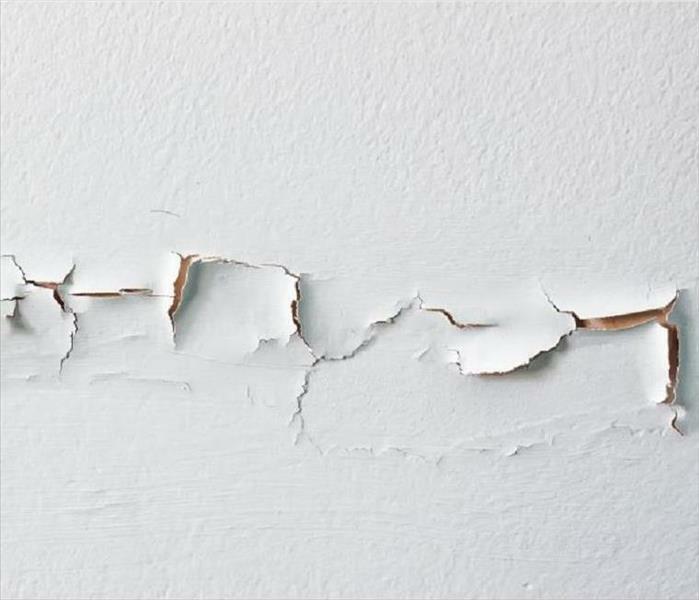 Cracking, bubbling and warping of floors, walls and paint can indicate a moisture problem or possible leak, which can encourage mold growth. Visible signs of mold growth are obvious, but spots that you may mistake as dirt could be mold. Another sign of mold includes musty odors. Call SERVPRO of Baldwin, Putnam and Jones Counties to discuss your options. 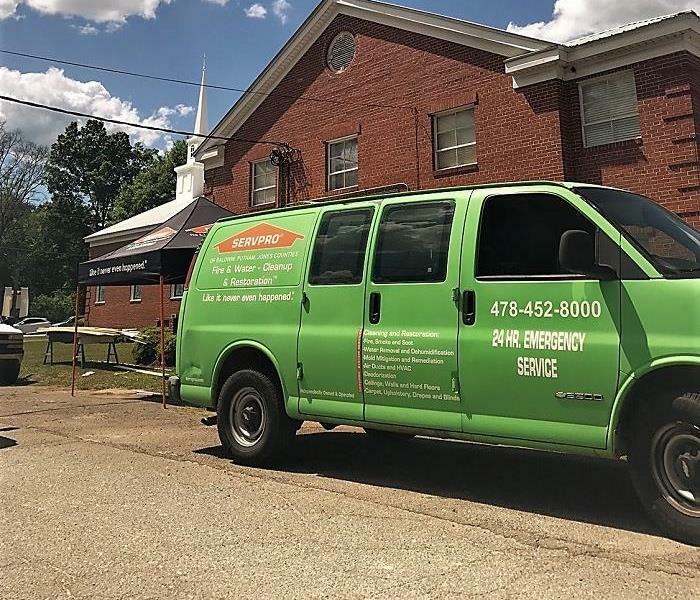 SERVPRO of Baldwin, Putnam and Jones Counties is a full-service storm, fire, and water damage repair company, which means no matter what sort of storm damage Mother Nature unleashes, our experienced, knowledgeable technicians show up ready to handle it. 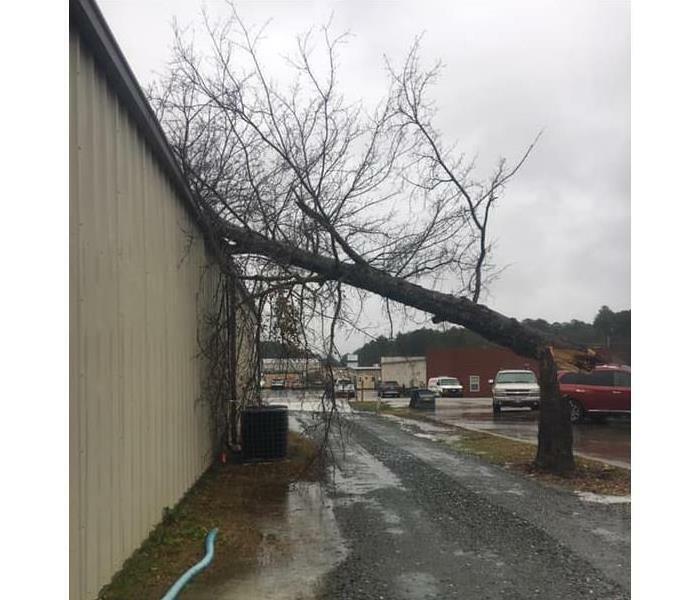 A fallen tree or wind damage can occur any time of day or night. That’s why our trained professionals are available 24 hours a day, 365 days a year. Your water bill contains vital information about your water usage. Comparing two bills together can help you determine if there is a possibility of a leak in your home. If you see a sudden uptick in your usage without an obvious explanation, such as house guests, you may have a leak somewhere in your home. Finding a leak while it is new and relatively small can help you avoid flooding issues. 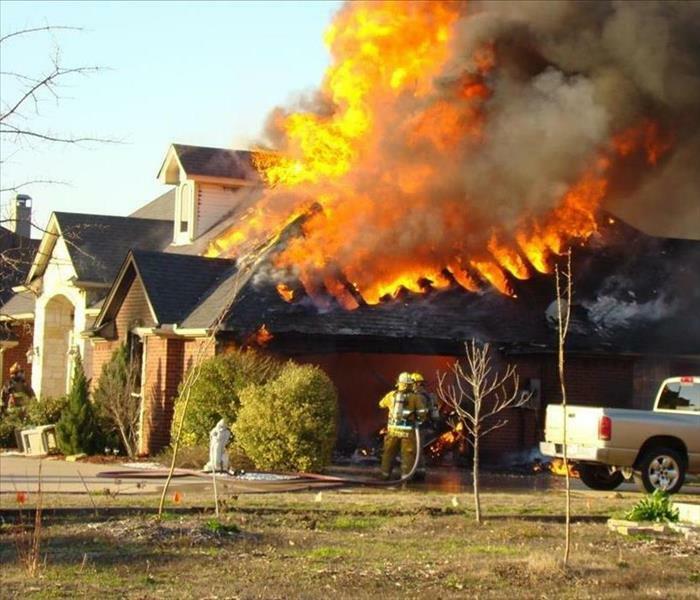 House fires will devastate - Are you prepared for the worst? We help file your insurance claim! Dealing with the insurance company to settle a claim can be challenging. 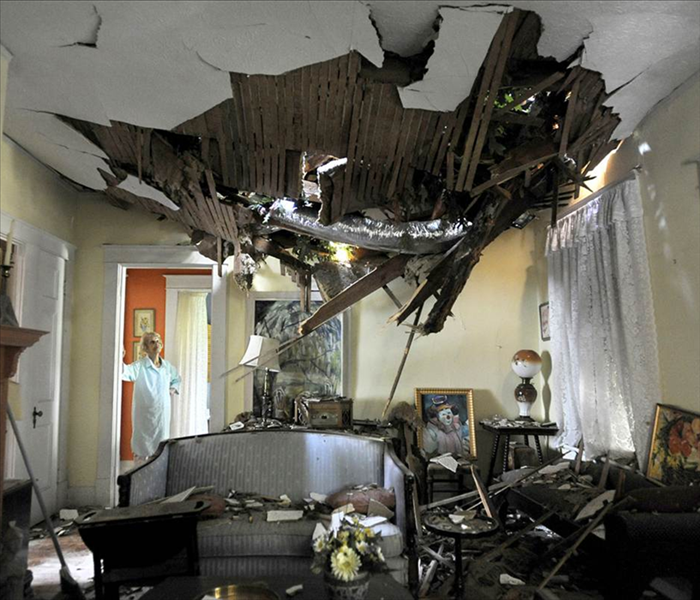 We will work with the adjuster to review your coverage, assess the damage properly, and get the most from your policy and claim. 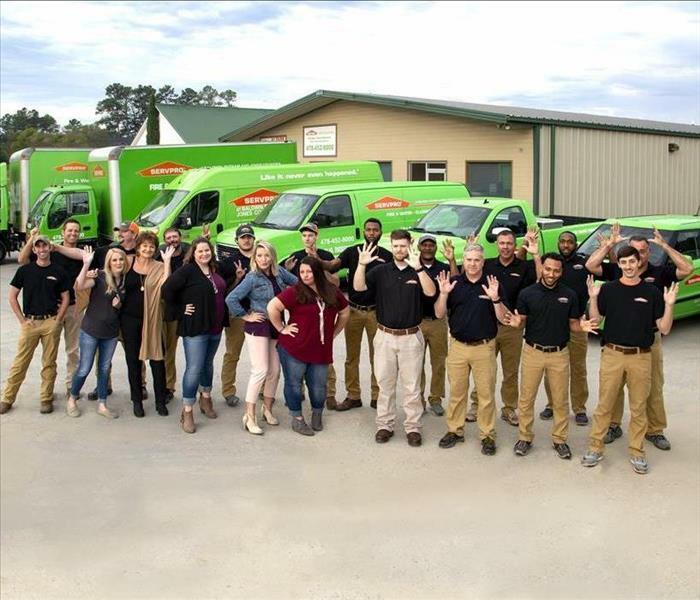 SERVPRO of Baldwin, Putnam and Jones Counties is a full-service restoration company, providing the best in customer care and satisfaction. From the moment we take your call, to the day we complete your restoration, we are fully committed to your satisfaction. 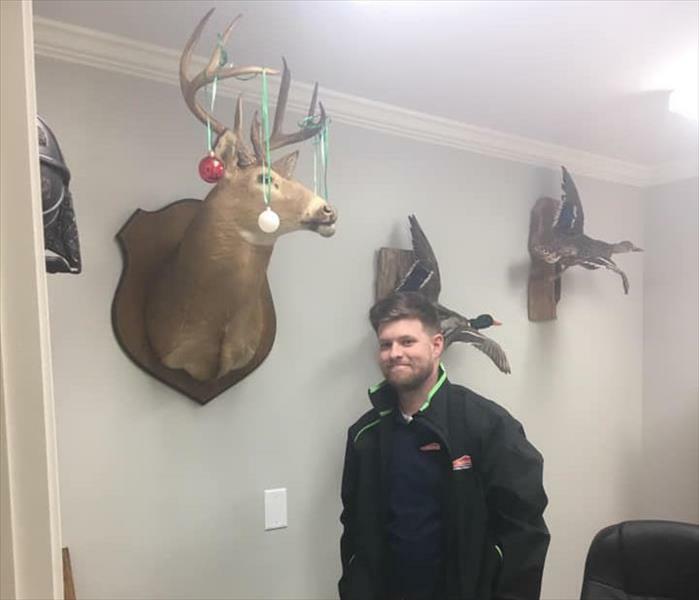 No mess is too big for SERVPRO of Baldwin, Putnam and Jones Counties. We aren't afraid to tackle ANY size disaster. Call us and see for yourself (478)452-8000! Never underestimate the expertise of our team when it comes to perfection. 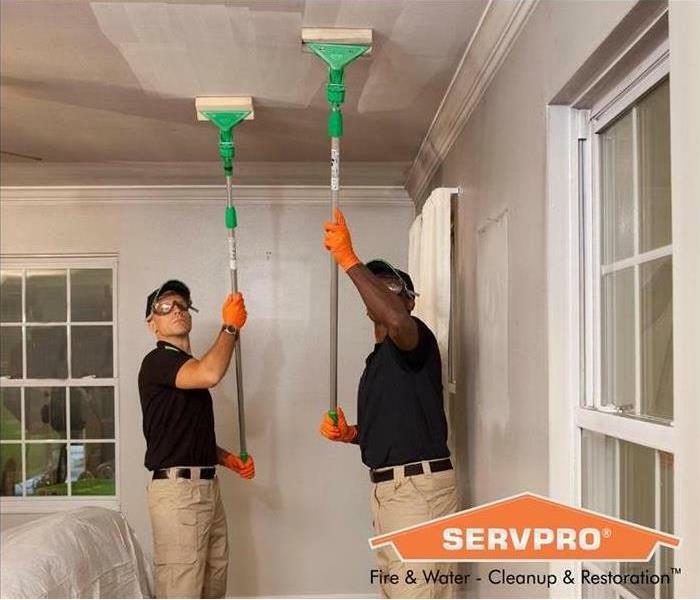 The professionals at SERVPRO of Baldwin, Putnam and Jones Counties adhere to protocol and have access to the very best resources offered in the industry. 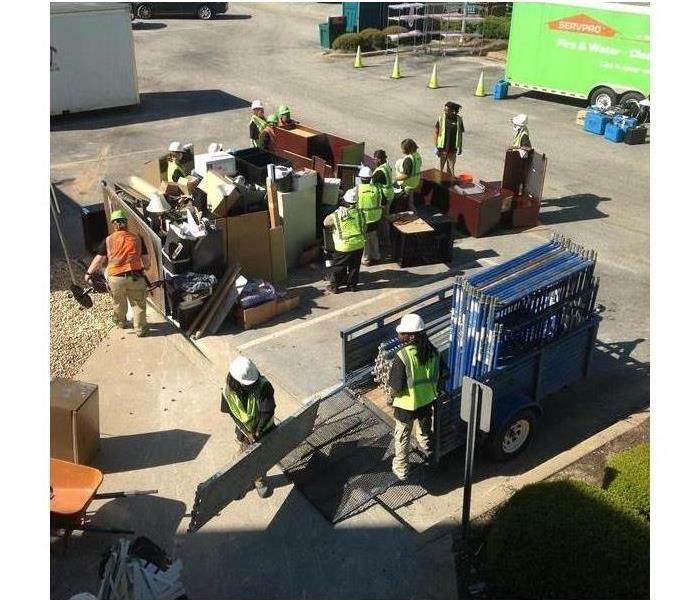 We may be only one of 1,700 franchises nationwide, but you can trust that no matter how big or small the disaster, we can call in the cavalry and get you back up and running! Commercial Loss - Let the Experts Handle It! For business owners, dealing with any fire, flooding, storm damage or vandalism, it’s usually a real nightmare. Even a week or two out of the market can have a huge negative impact and cause serious business loss. A quick restoration and reimbursement for the business losses suffered may be essential to the business’ very survival. Commercial Large Loss - We're here to help! Damage doesn't just happen at residential properties- it can strike your business, too! Thankfully, we are close by and ready to respond when disaster strikes. Click the link to learn more about our commercial services. SERVPRO of Baldwin, Putnam and Jones Counties is locally owned and operated, so we’re already close by and ready to respond immediately when you need us. We make disaster look "Like it never even happened." Give us a call today at (478)452-8000! In the background you see the steeple of Northside Baptist Church. We were there when they needed us the most when the baptismal flooded the choir loft, choir room, hallways and classrooms. 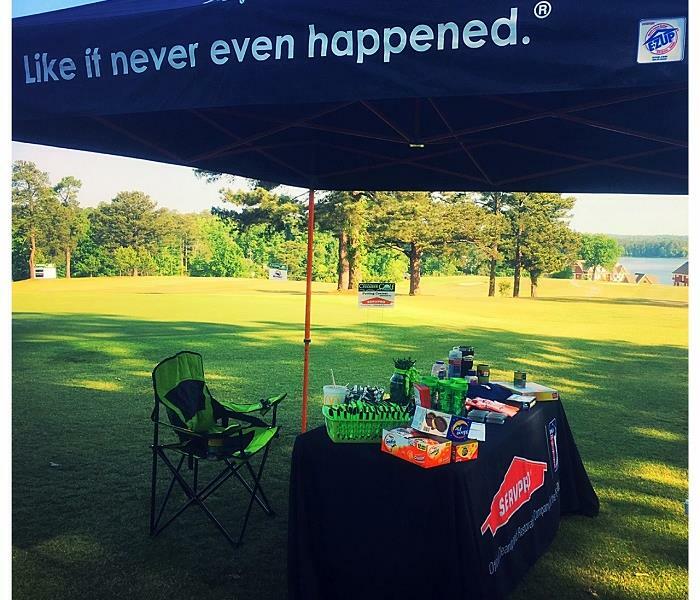 SERVPRO marketing is "par for the course"! We understand that to maximize our exposure, we need to be front and center. Supporting local golf tournaments are our way of educating people on the importance of being prepared when disaster strikes, whether it's at home or at work. 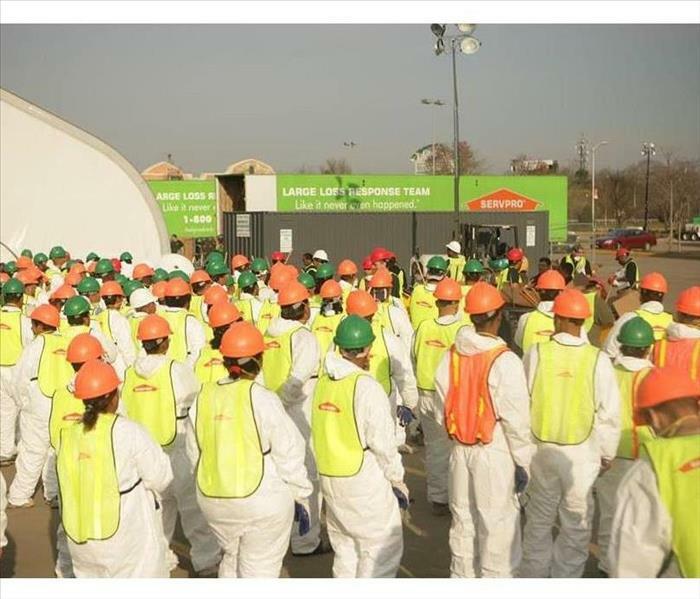 We're always excited to share the SERVPRO Story! 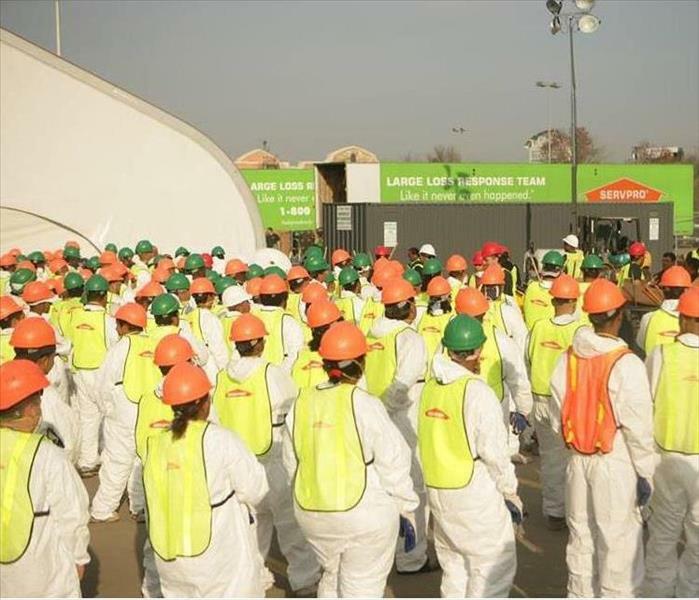 No matter the role you play within our company, we are all prepared to jump right in and get our hands dirty. We sure do love our firefighters and are always ready to get people back in their homes after a fire/smoke/soot damage. 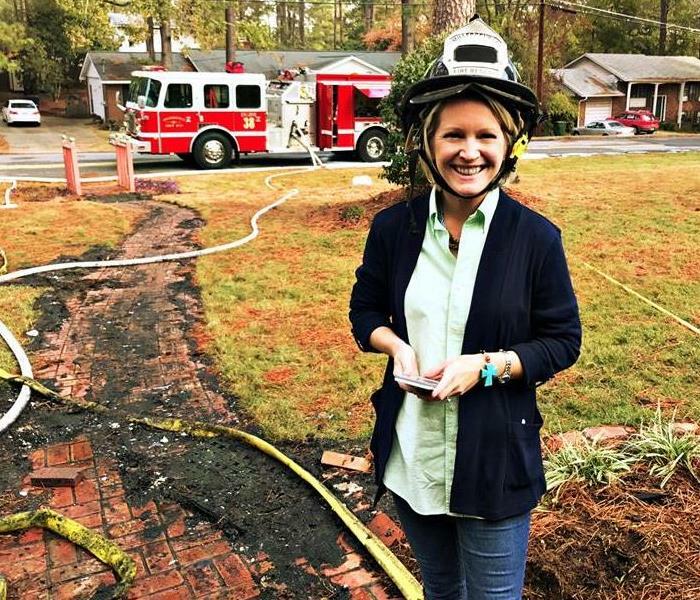 SERVPRO of Baldwin, Putnam and Jones Counties are always ready to step up in support of the local Fire Rescue's efforts to raise funds for The Burn Foundation. 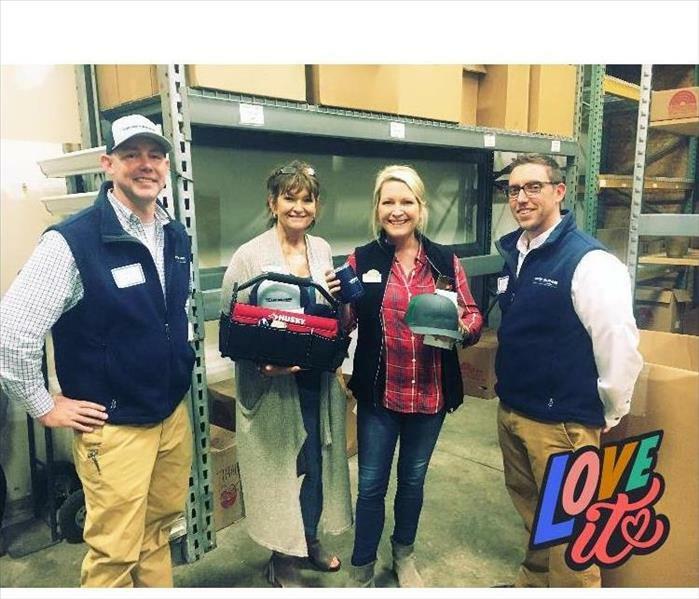 Team SERVPRO showed up with smiles!